Copy and past all 3 urls it gives you at the end alright? Wow Hyrax an Internet connection test? Do you tools have flash player wtf? No one has ever said it dosen't work. you go to the link I posted, click the glowing pyramid, then chill for 5 mins and wait. 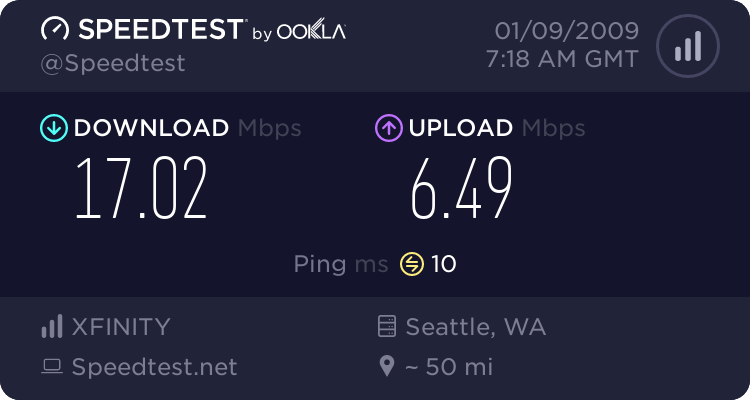 The average internet coming from any and all of you houses is under 10,000 kb (FYI) Rich people pay 80$+ a month for faster, some people hack bridge crap and subnet mask it (LoLz) and get better internet than what is avaidable. Its technically hacking your own DNS for faster internet. I'll post it in the support forum, but will need to leave a link to the site it came from not to rip. A lot of people can make use of that, nice job Hyrax. Yep, its in the Tech Support forum. Subject: Re: How Fast is Your Internet?